Author(s) Covington, Martin V.; Hoene, Linda M. von; Voge, Dominic J. 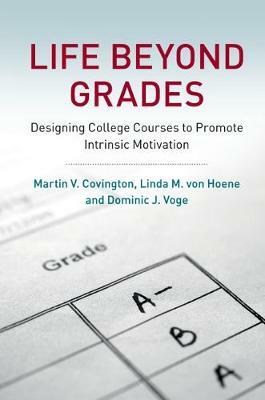 This book raises the question of whether or not educators can promote intrinsic motivation among college students when they seem overwhelmingly focused on grades. Indeed, can there be life beyond grades? The answer is 'Yes'. A love of learning can coexist, even thrive, in the face of competing pressures from grades. Drawing on recent, ground-breaking classroom research, the authors articulate a new understanding of the causes of the stalemate between intrinsic and external motivation, so that a reconciliation between them can be achieved. Then the authors apply a powerful set of motivational and pedagogical principles to lay out a step-by-step blueprint for designing and teaching college courses that promote intrinsic motivation as a primary educational goal in its own right, above and beyond knowledge and skill acquisition. This practical blueprint draws on authentic case study examples from a variety of subject-matter disciplines.